A total of 11 people have been killed in Texas tornadoes, police say, raising the death toll to 29 in a week of storms across the South and Midwest. 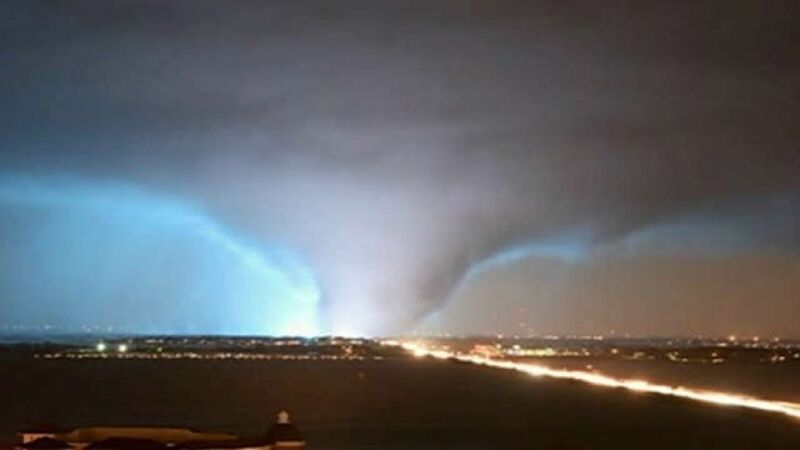 At least eight people died in Garland, near Dallas, five of them when their cars were blown off a motorway. Three bodies were found in other towns. In west Texas the problem was snow – high winds caused drifts that have made a number of roads impassable. According to Texas reports, churches were destroyed, cars mangled and trees toppled across a 20 mile zone from south of Dallas up to suburbs in the north-east. In December 27 briefing, Lt. Pedro Barineau, of Garland police, said 600 buildings had been damaged. The Red Cross is setting up shelters for those with damaged homes. Police said all street and highway lights had been knocked out, leaving officers working in the dark overnight. The forecast for the eastern US is of continuing high temperatures – Washington DC pushed close to 70F on December 27. A year ago, a tornado hit south-eastern Mississippi, killing five people and injuring dozens more.